MACY'S. Still the most beautiful store in Chicago! The 99th annual Great Tree is the centerpiece of the holidays at Macy's on State Street, with this year's tree designed by Vera Wang for Waterford. 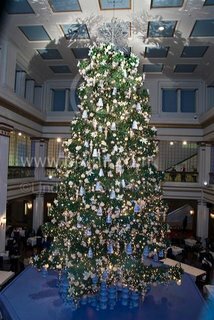 The Great Tree,features an exclusive snowflake tree topper designed by Vera Wang, 2,000 Wedgwood ornaments, and 15,000 lights. 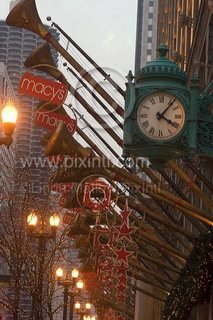 The telephone number for Macy's State Street store is the same number that it was for Marshall Field's: 312-781-1000. Mayc's photos(3) Current 2006 of the great tree and the outdoor decorations and clock. 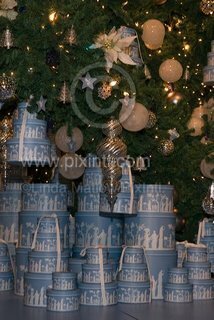 copyright © Linda Matlow/PIXINTL. All rights reserved. Photo may not be copied or distributed. 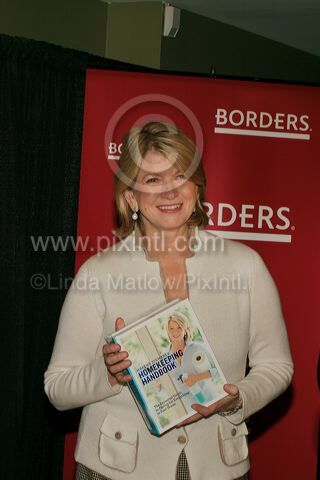 Crowds came early and braved the cold for a chance to have Martha Stewart sign a copy of her new book. a table as a courtesy to her fans. They were from the Borders Cafe. No,she did not arrive early and bake them! The event was at Borders Michigan Avenue store. Photo: Martha and book. copyright © Linda Matlow/PIXINTL. All rights reserved. Photo may not be copied or distributed.